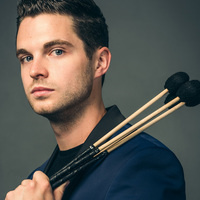 Conservatory of Music presents the Guest Artist Series featuring Cameron Leach, a bold, high-energy percussionist acclaimed for his expressive virtuosity, musical athleticism and daring interpretations. He regularly performs with the Columbus Symphony Orchestra and serves on the faculty of Kent State University. Cameron will present an early afternoon master class in percussion techniques followed by an evening recital. Tickets are available at the door or on line at go.pacific.edu/musictickets.